ALEXANDRIA, VA (November 19, 2008) - Alexandria, Virginia, is the ultimate holiday getaway destination offering affordable-and many free-entertainment options, easy gift giving ideas within your budget and the chance to win one of 12 holiday prize packages. Register to win $12,000 in prizes in the 12 Days of Holiday Giveaways promotion. From hotel stays, dinners, Potomac River cruises, VIP tours, gift cards to local retailers and tickets to plays and concerts there are 12 unique, themed packages offered in the giveaway. One prize package will be awarded every day from December 26, 2008 through January 6, 2009. The entire 12 Days of Holidays Giveaways is worth more than $12,000 including a grand prize valued at over $2,800. Register to win one of the 12 Days of Holiday Giveaways. The Burke & Herbert Holiday Boat Parade of Lights sets sail on Saturday, December 6, 2008, with 50 powerboats and sailboats parading down the Potomac River from Washington, D.C., to Alexandria fully decked out in holiday spirit and cheer. Beginning at 5 p.m. in the Washington Channel (between East Potomac Park and the Southwest Waterfront), the parade will head to the Alexandria waterfront marina by 6 p.m. The brightly lit boats are creatively decorated as they compete in categories such as "Best in Show," "Best Thinking Outside the Christmas Box" and "Hardiest Souls." Watch the parade from the docks of the Alexandria marina as parade concludes and many of the boats will tie up in the harbor. The festivities begin at 4 p.m. in Alexandria marina with entertainment, live music and Santa. Check out First Night Alexandria, where adult pre-sale tickets start at $12 and children under 12 are free when accompanied by an adult. First Night Alexandria is a celebration of the New Year through the performing arts on Wednesday, December 31 from 6 p.m. to midnight. Coffee shops, retail stores, office lobbies, museums and public buildings are turned into performance venues to showcase incredible local and regional talent. This year there will be approximately 70 acts on nearly 40 stages from the Scottish fiddler Bonnie Rideout and Bill Kirchen and the Hammer of the Honky Tonk Gods, the Grandsons, the Hula Monsters and many more. Kid and teen-friendly activities draw families to this alcohol-free, city-wide event. At midnight, fireworks at the George Washington Masonic Memorial celebrate the New Year. Click here for a complete list of holiday events and happenings in Alexandria. 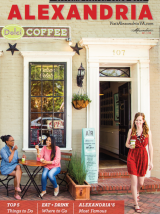 Visit the locally owned shops and boutiques in Alexandria to get expert, personal advice on gift giving within your budget. Many stores offer items such as jewelry and accessories, designer bags and clutches, baby supplies and holiday decorations for under $100. Check out Old Town Boutique District website or VisitAlexandriaVA.com for store listings, locations and hours of operation.